Click the green link above, and it will open a Word version of the 2019 application for Great Place Project grants. 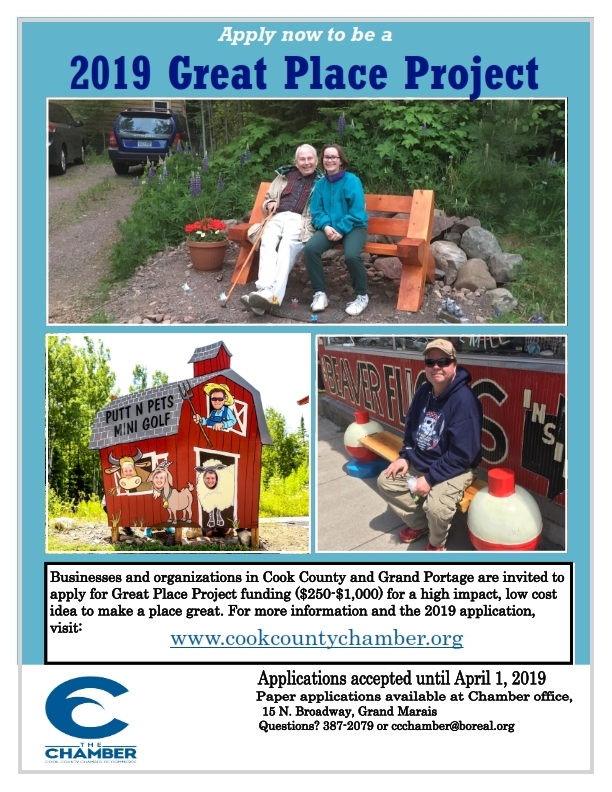 The applications are due to the Chamber by April 1. Send them via email to ccchamber@boreal.org, mail them to P.O. Box 805, Grand Marais, MN 55604, or drop them off at the Chamber office, 15 North Broadway, Grand Marais.